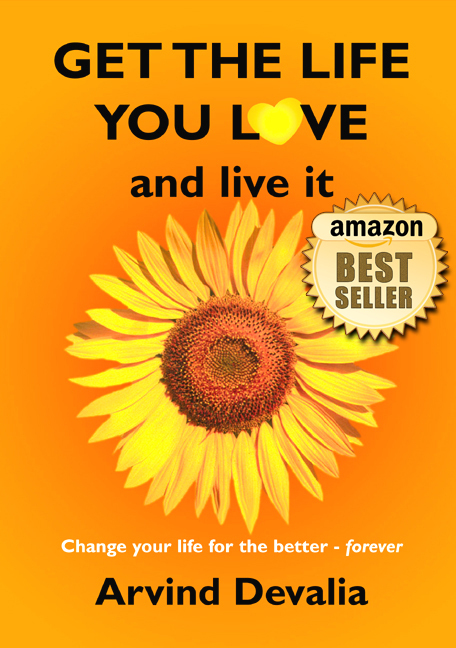 Do you know how to truly love yourself? Or are you so engrossed in yourself to the point of being vain and arrogant? 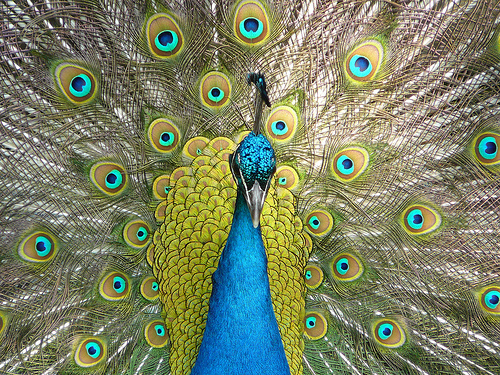 There is this phrase – proud as a peacock, which is used to refer to someone who is excessively proud and full of themselves. Are you a peacock?! This is the third of my series of 28 relationship articles for the month of February, during which I am taking you through a journey of improving all the relationships in your life. Also, you can read all 28 articles from Feb 2011 which are listed at the bottom of this post. My previous article about self-love brought up this question of just how much one should love themselves. The answer is there is no limit. You should love yourself so much that you could eat yourself! However, some people do not yet understand this concept of self-love. We are brought up to believe that it’s not good or “nice” to put ourselves before others. Louise Hay talks about this in her book You Can Heal Yourself, where as a child at parties, she would always let others get the cake first. And of course she would end up with none. Self love is about putting yourself first – you can consider the needs of others too, but not at your detriment. And we all do this – I am a classic case and only recently I even had some coaching sessions from Eduard Ezeanu about putting myself first. So putting yourself first is one aspect about self-love. But what if people go the other way? At what point does self-love become selfish and arrogant? You have probably met someone like that in the past – someone so full of themselves that you could hardly be in their presence for too long. Someone who believes that the whole world revolves around them – and that they are better and above everyone else. However, here’s the thing – such people are actually the ones who are really short on self-love. And that’s why they need to have external social indicators and all that peacocking to prove their worth to themselves and others. There is this anecdotal story of the time when Gandhi met the King of Great Britain in London and he wore his simple wrap around cloth. So ask yourself – are you so full of yourself that you have covered yourself with all this external clothing and peacock feathers? Also, remember that self love is not about being narcissistic! True self love means being totally comfortable in your skin and not ever wanting external vindication of your being and worth. True self love means being kind and loving towards yourself no matter what. It’s all about coming to the realisation that there is nothing wrong with you, and that you are perfect just the way you are. Here’s a wonderful article about falling in love with yourself from my friend Alex Blackwell‘s blog. Have friends who energise you. You are who you associate with. De-clutter your life. Whatever you do, don’t buy more stuff! Be very kind to yourself – watch that self talk. Cut down on late nights, especially if you are a party animal! Reconnect with your inner child – learn to chill out more and be childlike. I am sure you can think of some more. Learn how to really pamper yourself and to make yourself feel good. Boost your self-esteem as much as you can – apply daily my 9 powerful ways to boost your self esteem. An easy way of finding things you truly enjoy is to check in with yourself. Pause and ask yourself if it feels good or not. Your body’s reaction will always be accurate. Let your inner voice be your teacher and guide as you evolve into greater self love. Choose at least one of the activities I suggested above and carry it out for yourself. Enjoy the self pampering. Then please share in the comments below about how you are being loving to yourself so we can all learn from you. Don’t be shy! Nature is perfect – it’s just that we lose sight of that perfection. Hmm… I used to not love myself in the past. I’d focus on the mistakes I did in the past, and that regret would literally make me sick. I’m gonna try chilling out, and acting more child-like. It’s actually something I’ve been doing for the past week, and it feels good! When I used to do something, I would think about what others would think when I do it. Now I just do it! Example: When I’m leaving work, I would do so “quietly”, as if I didn’t want anyone to see I was clock-watching. Now, I’ll be typing in my computer, then all of a sudden, when I want to leave, I’ll get up, put on my coat, and walk out. No thinking involved. Henway, welcome to the world of being childlike! Stunning picture of the peacock. If we don’t love ourselves, then no-one will; love begins with us. These are some excellent ways to help us look after ourselves, and give ourselves the respect that we deserve. I’ve seen overweight people drive gleaming sports cars; surely something is wrong there? Stuart, glad you like the peacock picture. Took me a while to find it on Flickr. Indeed love begins with us – and we can do umpteen things every day to love ourselves. As for overweight people driving gleaming sports cars, that’s just what it is – nothing right, nothing wrong! First of all, I’m really enjoying this series – looking forward to reading all the upcoming posts. And thanks for sharing your tips for doing things for your mind, body and soul. I’ll add them to my list. I think this is such an important topic because it is the very foundation from which all else flows. I often hear someone say, “Take care of and love yourself or you have nothing to give others” and I’d like to remove the last part about others. To me, that still implies the only reason we’re allowed to take care of and love ourselves is in relation to others. How did we get to this place where we equate loving ourselves as something “bad” and “selfish”. I wrote recently about the Dalai Lama being puzzled when a westerner mentioned feeling bad about himself. He asked others in the room if they knew what the person was talking about or had experienced it and was shocked to learn everyone did. In his culture, there wasn’t even the concept of disliking oneself. Imagine! I’m so happy you’re addressing this. And becoming more self-caring! Thanks for your input. So often people assume being self-loving equates to becoming pompous, proud and arrogant. Or they assume that there will not be enough love for anyone else! But as you say, it is nothing to do with others – love yourself purely for loving yourself. Great story about the Dalai Lama not even being aware of this concept of feeling bad about yourself! Shocking isn;t it? 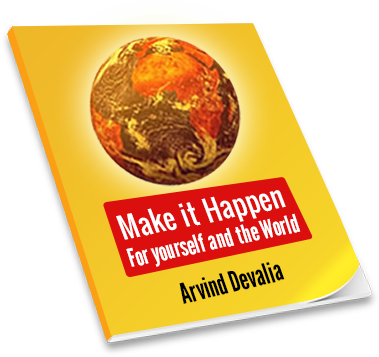 Welcome to my blog – I am glad you have been inspired by my articles. Definitely love yourself and be kind to your self,appreciate and celebrate your small and even unnoticeable achievements. i just want to add this point in addition to these. To take lessons from life it is a must to be a great or in other word an extreme learner. you are nothing without being a learner first and enhance or extent of learning.